Pam Borton teamed up with Aimee Cohen and Sara Lebens to develop Women ON Point, an executive coaching and leadership development organization to advance women as leaders. We are a dynamic team of experts who share 70 years of successful coaching experience and are dedicated to empowering and supporting leaders by providing destination leadership summits, customized in-house leadership events, and ON Point leadership academies for C-suite and senior-level executives, emerging leaders, and those leading teams. Our mission is to empower women and set them up for success. 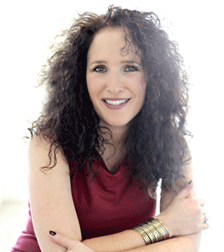 Aimee Cohen is a keynote speaker, elite career coach and bestselling author of “WOMAN UP! Overcome the 7 Deadly Sins that Sabotage Your Success.” For more than 20 years, and with a nearly 100% success rate, Aimee has empowered women to take control of their careers and lives. She has provided her expertise during numerous national media appearances and has been cited in several national publications including the Wall Street Journal, the Chicago Tribune, Fortune and Glamour. 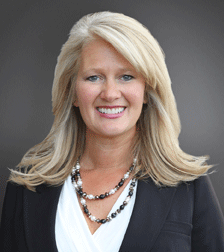 Aimee is a multiple Outstanding Women in Business award nominee. Sara Lebens is an executive coach and keynote speaker who led global Human Relations for Hyatt Hotels for more than 20 years. Today, Sara brings her dynamic track record of success to her role as founder and president of Lebens Advisory Group, guiding companies in creating top performing workplace cultures. Her work has landed clients on Fortune’s “100 Best Companies to Work For” list, and significantly improved rankings for her international clients. Sara is an Outstanding Mentor award winner, a graduate of CoachU’s ICF accredited program, and a certified Situational Leadership trainer.